July 26, 2017 By JRL, Esq. Many documents can determine how you are attended when you are sick. The most notable ones deal with those times when you are unable to express your own desires. These include being in a coma or going into cardiac or respiratory arrest. You may have discovered Living Wills and DNRs, two documents included in the category specified above. Both of them apply when you, as the patient, can’t speak for yourself. However, they’re not the same thing and will result in different treatment for you. In order to make sure your end-of-life demands are met, you need to know the difference between the two. A Do Not Resuscitate order is a medical document, while a Living Will is a legal one. A DNR must be signed by your doctor to be effective, but you can create a Living Will on your own. A DNR deals with actions taken if you die and a Living Will applies to many other life-prolonging procedures. A DNR is a medical order which tells your doctors or emergency medical responders not to perform CPR or employ a breathing tube if your lungs or heart give out. In other words, if you are in cardiac or respiratory arrest, your physicians are directed not to aid you. If you die, your doctors or paramedics are instructed not to try to bring you back. Most often people enduring long-term illness or who are very old wish to have DNRs. This stops them from being brought back to a life of suffering while there is no possibility they will ever return to complete health. DNRs are commonly signed when quality of life is already very low and the patient desires to protect his or her dignity in death when their time comes. A Living Will, on the other hand, spells out which specific life-prolonging treatments a patient wishes to refuse. It is used so that, if a person is unable to express his or her wishes him or herself, the person is still able to make significant health care decisions. That is, if you are in a coma or otherwise on life support with no real chance of coming off of it, your family and doctors will know what to do (i.e., whether to keep you alive or “pull the plug”). You can incorporate your wishes about a DNR into your Living Will. However, it is most practical to have a DNR separate from your Living Will. As mentioned above, a DNR is a medical document and is more often consulted in moments of fast decision-making, such as when you may need CPR. If your DNR is not readily available, the doctors or paramedics will attempt CPR anyway; they are legally bound to do so. This applies in particular if you are at home (and not a long-term patient at a hospice or hospital). 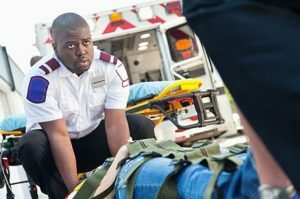 If you have a DNR, you can get a DNR bracelet or other identification that will tell EMTs to not perform CPR if your heart stops or you quit breathing. Without that, they will attempt to resuscitate you. In Nevada, you can apply for a DNR identification. If you are a long-term patient at a hospice or hospital, you can further ensure that your physicians are aware of your DNR by telling a family member of your wishes. They will remind your doctors of the DNR and will make it less probable to be overlooked. If you have a Living Will, your can specify additional life-prolonging or end-of-life treatments that you may want or wish to reject, such as feeding tubes, intravenous hydration, or organ donation.